In Part 1 of this blog series, we looked at how content marketing has evolved to incorporate storytelling and we examined how brands like John Lewis in the UK are spending millions of pounds each year to tell a great story. We looked at the structure of a well-told story and we laid out what elements should be included in a story. 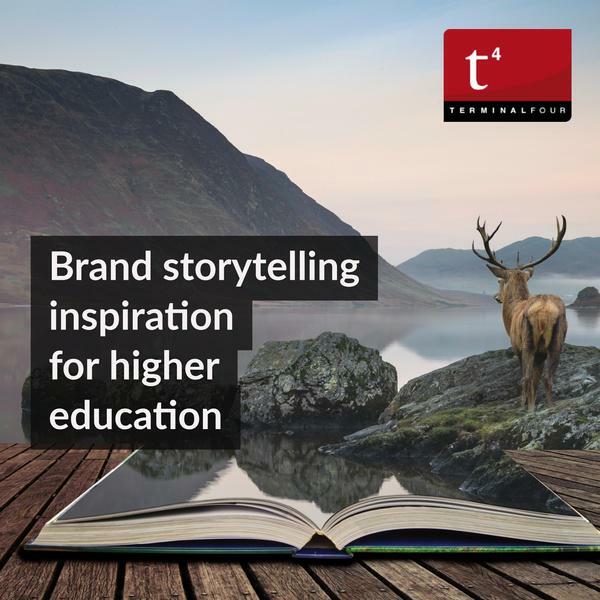 In this blog post, we want to show you some great examples of how brands as a whole and specifically universities are using storytelling to identify with their audience. Storytelling is one of the most powerful ways to strengthen your brand and to make a connection with your audience. A good story stays with your audience and is far more persuasive than a statistic, testimonial or case-study. Think about it, when we meet a person, it's their story that we find interesting, that we relate to and that we remember. A story can inspire and take your audience on an emotional journey. One of the biggest things brands get wrong is to tell a story that has no emotion. A good story, regardless of whether it's the script for a movie, the plot of a novel or a student recruitment video. What brands are getting storytelling right? Airbnb is one of those companies that has made its customer the star of the show. When we think of the online marketplace where homeowners rent out their properties, we don't think of a business, we think of the vacations we have taken (or are dreaming about taking). We think about those cherished memories with loved ones. Air BnB use storytelling to inject magic into their brand. They tell stories about people; the people who rent out their homes and the travelers who stay there. 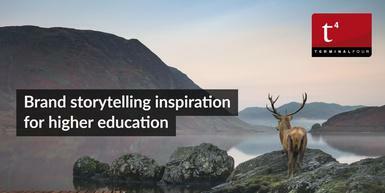 Impressively, Air BnB have a stories section on their website where their community can share their stories. The stories are unedited and anyone can submit a story. Every year, Google releases a "Year in Search" video which aims to turn their search data into a story. This is a fantastic example of how an organization can create a story around their research and how that story can then inspire people. Over the years, the one area we have seen universities struggle to promote is their research. It can be challenging to find the right audience and the best way to present your research so that it's engaging. Here is an interesting article on the topic in an internal University of Buffalo magazine. Think about what makes you want to donate your time or money. If you were sitting at home watching TV and saw a news report that stated how the number of young homeless people was at an all-time high, would this spur you to act? How about if you saw a video of a young woman who was living on the streets and you heard her story and saw the hardship she faced every day while living on the streets. Which of these would make you want to help? Which of these would stay with you? Invisible People is an organization that uses film to share the experiences of people who are homeless. The videos have been viewed by millions of people on YouTube and has raised incredible amounts of money to help homelessness. Whether your organization's goal is to shed a welcome light on the issue of homelessness or to inspire alumni members to donate, human stories will always triumph over statistics. In our next and final installment of this storytelling series, we will take a look at the universities and colleges who are making stories work for them.